HGStreet, a unique and definitive street culture and lifestyle festival celebration brought together a sneaker exhibit, hip-hop lifestyle, street-wear fashion, street art, skateboarding, music, food for a day showcasing creativity and innovation in all forms. Celebrating sub-cultures from across a diverse landscape, the first edition brought together a massive multi-warehouse takeover in the heart of Delhi on 18th March 2018 at The Dhan Mill Compound. The first platform to unite sneaker lovers from all backgrounds, there was a mutual celebration of bleeding-edge fashion, art and music across home grown and international names alike. Art and culture came together with a showcase of the work of legendary photographer Jamil GS, and his celebration of Hip-Hop royalty including Jay Z. The Iconic Air Max celebrated their anniversary with their latest drop AirMax 270, apart from workshops by Nishant Fogaat and Dizzy teaching people how to actualise tangible lifestyle products using Nike sneaker uppers. 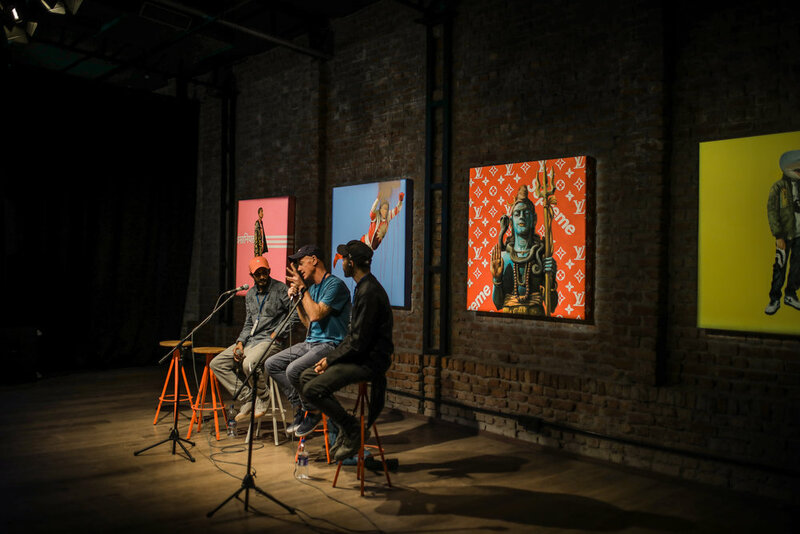 The Godfather of graffiti and visual art, Futura; and the man behind Fenty PUMA by Rihanna, Yassine Saidi, shared their interpretation of the sneaker phenomenon apart from a showcase of art by local pioneers like Sumit Roy & Nehal Joshi. The event sought the highlight the rise of various Indian sub-cultures. Panellists including Indian artists, Divine, Rajakumari, Parbh Deep along with Srikanth Seshadri of Saavn, and Mo Joshi of Azadi Records discussed the Rise of Hip Hop in India. Other discussions included the ‘Indian Skate Story’ with Nick Smith, as well as one on ones with SoleDXB’s Hussain Moloobhoy and Capsul’s Bhavisha Dave & Meenakshi Singh, followed with the Journey of Highsnobeity and the journey of Street-wear x Culture with Brock Cardiner and Capsul. 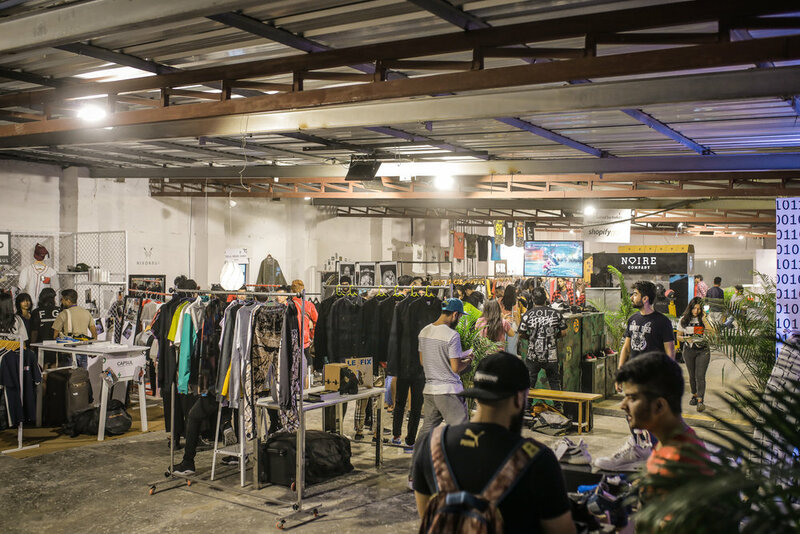 Also on display were pop up shops by global and home-grown street wear labels such as Nixon Bui, Vardi by Delhiwear, BOBO, Capsul, SVED etc, LeFix as well as the world’s largest sneaker exhibition with over 500 vintage and limited edition sneakers. There were skateboarding contests as well as rap cyphers, live graffiti, pop up dance performances and more. 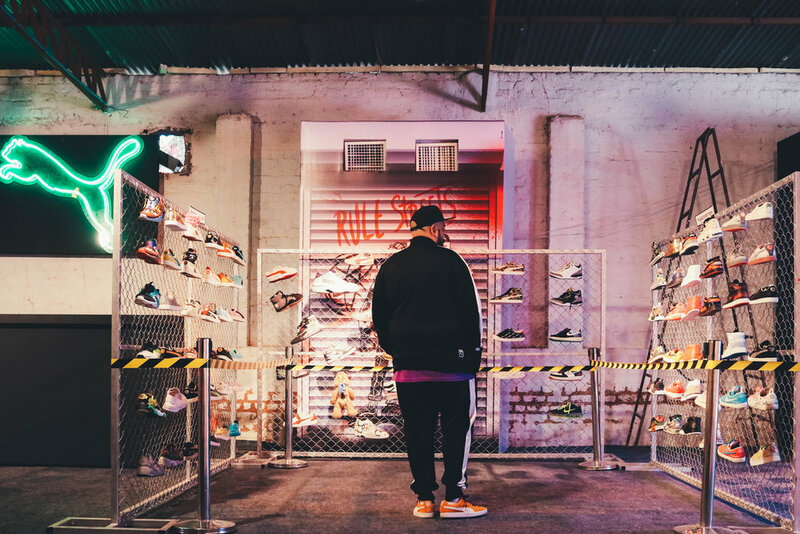 Sneaker drops and immersive brand labs also helped create a one-of-a-kind experiential sneaker experience. The day only ended to the beats of home grown talent like Divine, Zokhuma, Rajakumari, and international talent of the likes of Natasha Diggs, Preditah and DJ Neil Armstrong across 4 simultaneous after parties. The jungle warehouse party brought an urban jungle to the heart of city with musical talent such as DJ Zokhuma, FILM, Rafiki and more. A mecca for all things local and street, #HGStreet witnessed an acknowledgement of the ongoing cultural rebellion as a representation of a brave new world where authenticity and originality stand foremost.